Priyanka Chopra has proved her mettle as an actress in the west and now she is turning producer with a new TV show based on Bollywood diva Madhuri Dixit's life. New York-based writer Sri Rao has penned the comedy series about a Bollywood star who settles down in the suburbs of America with her bi-cultural family. Madhuri left Mumbai after her marriage to Shriram Nene and moved to Denver, US, where she lived for 12 years. The actress along with her husband and sons returned to India in 2011. 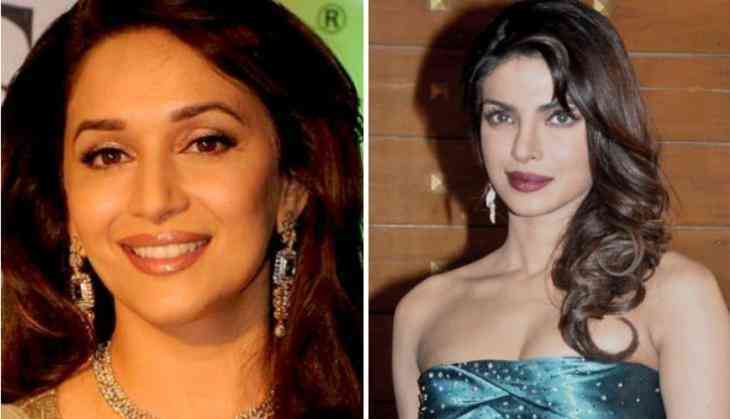 "The incredible Madhuri Dixit's real life has been the inspiration behind Sri Rao's amazing story, and I can't wait to work with the both of them to see how this will pan out," Priyanka, who will be the executive producer on the show along with Madhuri, posted on Instagram. Mark Gordon and Nick Pepper will also executive produce through the Mark Gordon Company (MGC). ABC Studios will co- produce with MGC. "Again, it's unchartered territory for me, producing a show for American television but I'm blessed to have a great set of partners in Mark Gordon Company's Mark Gordon and Nick Pepper, along with ABC Studios to develop and produce this very fun idea," the "Quantico" actress said. "After having an incredible experience with them on Quantico, this seemed like a perfect extension of our partnership." The 35-year-old actress, who is also developing few other Hollywood projects, did not divulge any details about them. "I've only just begun and there is little I can share at this point about any of the projects but I'm looking forward to rolling up my sleeves and getting to work. Stay tuned.